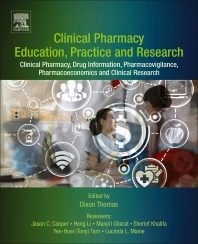 Clinical Pharmacy Education, Practice and Research offers readers a solid foundation in clinical pharmacy and related sciences through contributions by 83 leading experts in the field from 25 countries. This book stresses educational approaches that empower pharmacists with patient care and research competencies. The learning objectives and writing style of the book focus on clarifying the concepts comprehensively for a pharmacist, from regular patient counseling to pharmacogenomics practice. It covers all interesting topics a pharmacist should know. This book serves as a basis to standardize and coordinate learning to practice, explaining basics and using self-learning strategies through online resources or other advanced texts. With an educational approach, it guides pharmacy students and pharmacists to learn quickly and apply. Clinical Pharmacy Education, Practice and Research provides an essential foundation for pharmacy students and pharmacists globally. Dr. Dixon Thomas is an Associate Professor at Gulf Medical University (GMU) and Pharmacist at Thumbay Hospital, Ajman, UAE. He had completed his Diploma, Bachelors, Masters, and Doctoral Degrees from India in Pharmacy, Psychology, and Education. The latest of his qualification is from Gulf Medical University, Graduate Diploma in Health Professional Education. Dr. Thomas chairs the Department of Pharmacy Practice, Quality Assurance & Program Evaluation Committee, and the Program Director of Master of Pharmacy in Clinical Pharmacy at College of Pharmacy, GMU. Also, Dr. Thomas contributes to pharmacy profession through different projects by leading pharmacy organizations, invited lectures, and publishing. Dr. Thomas had editing responsibilities to publications by ISPOR Asia Consortium and Indian Pharmaceutical Association (IPA). 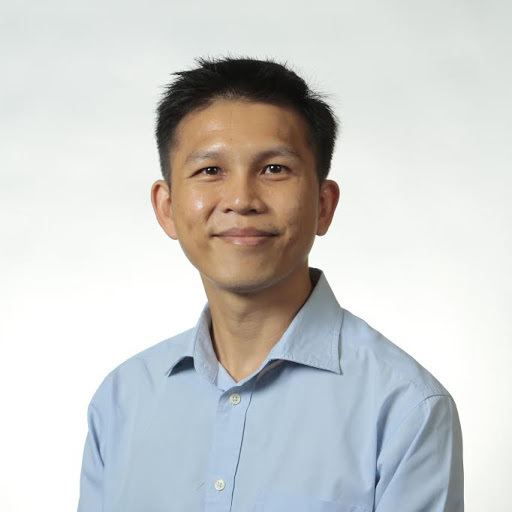 He contributed to international projects by International Pharmaceutical Federation (FIP) and International Society for Pharmacoeconomics and Outcomes Research (ISPOR). I would like to endorse the book as highly useful in clinical pharmacy education, practice and research providing strong fundamentals. This book is an excellent resource for a pharmacist to develop as a clinical pharmacist. It stays as a point of reference when you want to make sure on clinical pharmacy and related concepts that have implications for direct patient care. This comprehensive and informative book culminates from experiences of pharmacists from various regions around the world. A must have study guide for students, pharmacists and academicians. Congratulations to Dr Thomas on bringing together so many excellent authors on such a wide range of relevant topics for clinical pharmacy. This looks to be a high-quality resource! It looks like a complete review of all relevant concepts required for a pharmacist in clinical approach. All dimensions of the professional practice, learning, and research are essential for today's clinical pharmacy practice. I did contribute to this book. Looking forward to reading it fully. Excellent book to read in order to familiarize the current clinical pharmacy practice and to use pharmacoeconomic concepts to verify the value of new drug products and pharmacist interventions. I contributed to the review of several chapters of the book and would like to read all other chapters.